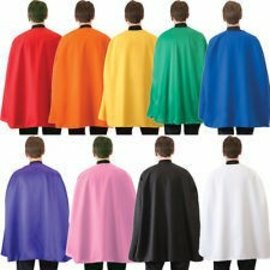 26 inch long fine quality satin cape that ties under the neck. Cut so it fits perfectly over your shoulders. One Size: Perfect for Women and Children and even men depending on your theme. 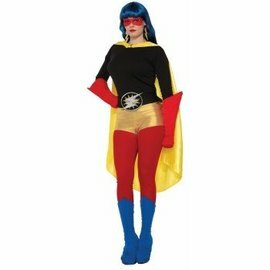 Comes in an array of colors for different themes of costumes. 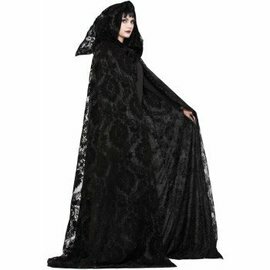 Black for magicians, vampires, witch, super heroes and super villains and sorcerers. 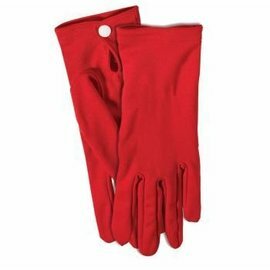 Red for Romans, devils, Red Riding Hood, super heroes and super villains and sorcerers. Blue for super heroes, super villains and wizards. Green for super heroes, super villains and more.